A young boy doesn’t notice that he’s dropped one of his mittens in the snowy woods. 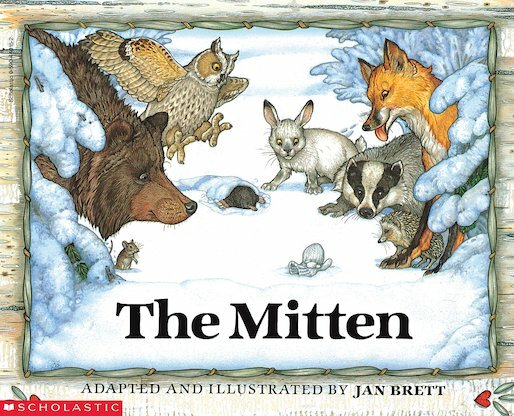 But one by one, chilly animals discover the mitten and crawl inside. Each one is larger than the last: a mole, a rabbit – even a big brown bear! With its simple text and masterful illustrations, this beautiful picture book based on a Ukrainian folktale is a true winter classic.